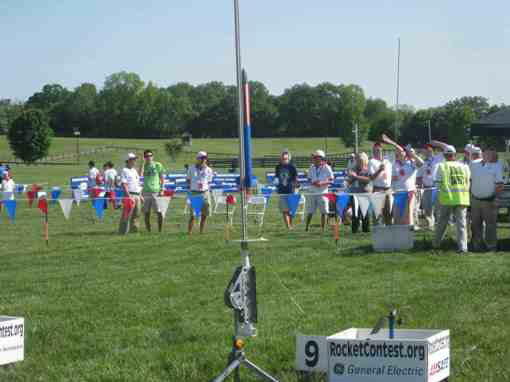 Goshen High School’s model rocket teams brought back honors again from the national Team America Rocketry Challenge in Virginia on May 12. The GHS Red team won the Best Mission Design award and also sixth place in the flight competition. The GHS Black team placed 14th. 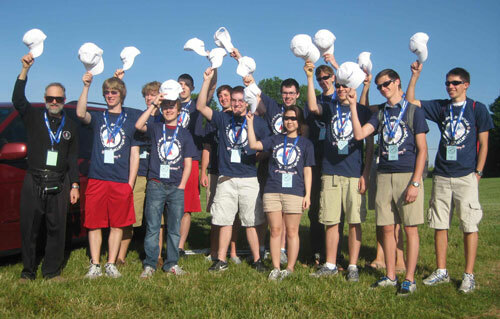 Scores were based on how closely 100 teams from across theU.S.met goals for the 2012 contest: a flight altitude of 800 feet and duration of 43-47 seconds, carrying a payload of two raw eggs with a rocket weighing 19 ounces or less and a limited-size rocket motor. After all teams had completed their first flight on Saturday, GHS teams were in second and third place. The top 24 teams launched a second time and final scores were a sum of the two flight scores. The GHS Red team’s sixth place finish earned $3000 in scholarship money plus another $2000 for the school. 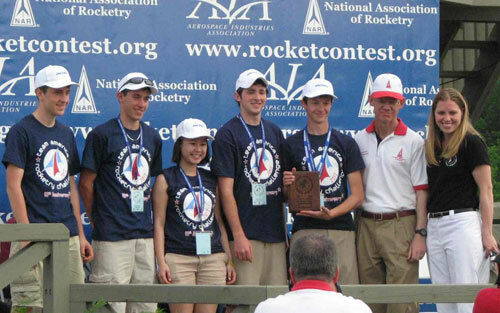 “I’m very proud of both teams,” said GHS coach Ken Horst, “We’ve had a good run.” Goshen rocket teams have qualified for the national competition six times since 2002 and have finished in the top ten four of those times. Their strong record gave GHS the chance to participate in a more rigorous Student Launch Initiative sponsored by NASA in 2004 and again in 2011. In the NASA program, high school and university groups design higher-powered rockets that also collect scientific data. GHS rocket club is sponsored by local Subway restaurants, JACOBS Engineering Science Contract Group, and other donors. This was the last year for Horst to coach rocket teams at GHS, since he is retiring from teaching in June. 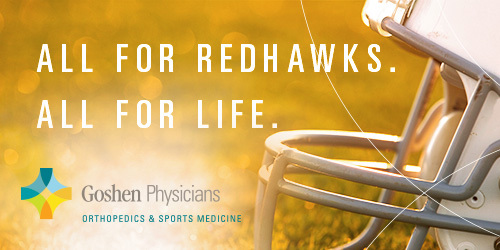 He has been on medical leave this year while recovering from a heart transplant in 2011. 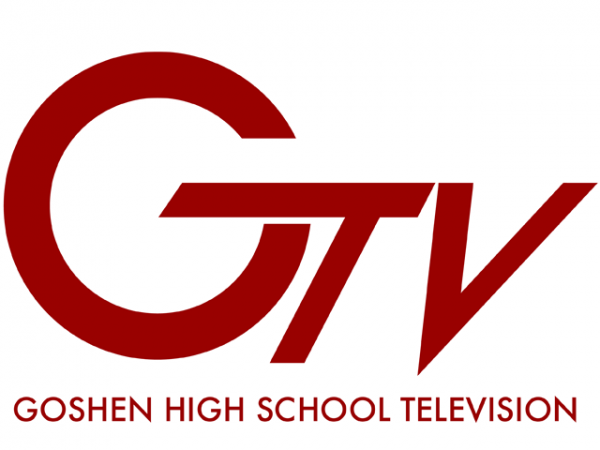 Awards Night: The Goshen High School winter athletic recognition night is Tuesday, March 13. The evening will begin in the GHS Auditorium at 7:00 pm, with individual team recognition ceremonies following the group session. There will be cookies and juice available in the Commons after the individual team sessions. Brandon Daniels and Ryan Ntende have been invited to represent Indiana in the Illinois/Indiana Dual wrestling match this weekend in Dekalb, IL at Northern Illinois University. Great job representing GHS with such class and best of luck to both of you!